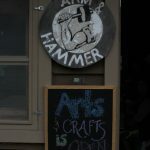 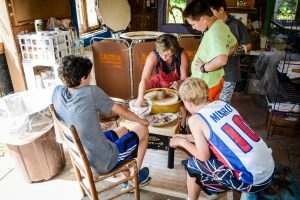 A quick walk into the Arm & Hammer on a given day and you’re likely to find campers working with clay, making candles and woodburning plaques. 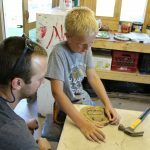 So many of our campers love spending time at arts and crafts, using their hands and their imaginations to create. 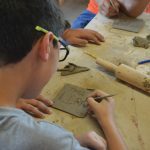 We give them this outlet and its amazing to see the great things that kids make. 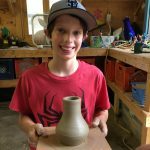 On a weekly basis, our arts and crafts director will come up with three or four new offerings for our campers to choose from. 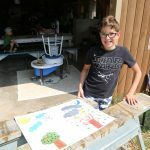 One week that slate of projects may include funky fleece pillows, duct tape wallets and tie dye shirts while the next week that may change to milk shake candles, mini basketball hoops and clay chess sets. 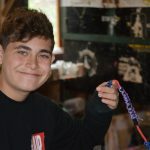 Campers will get to choose from traditional offerings like lanyards as well as new, unique projects. 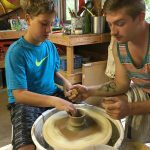 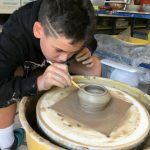 We also have a few pottery wheels and a kiln so the boys can create bowls, cups and more.